In this episode of Why Paint, Catchlight Painting President Nigel Costolloe discusses his why for being a painting contractor, the rough and tumble of starting a business from scratch, and why he never yells at work. You can listen to the full podcast on PlayerFM here. So the idea is remind yourself why you became a painting contractor, what you love or loved about being a painting contractor, and then doing your best to repeat that moment. And I do believe it is a moment because even if it’s just a sensation or a feeling, it’s a sensation and a feeling that comes from a moment and whether that’s just checking your bank account at the end of the month, that’s okay. If it’s employing people. What a great feeling I’m providing a career to fellow citizens. That’s a wonderful thing. If it’s seeing the look on a customer’s face when they’re done, that’s wonderful. Make sure you repeat those moments. And I said this is the first in a series and so the first guinea pig, the first contractor that I’m gonna talk to is a guy named Nigel Costolloe. I’ve talked to him many times at PDCA events and why did I choose Nigel to be the premier guest on “Why Paint Repeat?” Easy, because Nigel is a very thoughtful, dedicated, purposeful person. You talk to him once or twice and you’ll see he doesn’t do things willy-nilly purposeful. He does things with purpose. He knows why he’s doing things. It’s a joy to talk to Nigel because he has a very positive outlook on life and he does things, again, with purpose. And Nigel, did I build you up too much? If I now created way too high of expectations for you, or if I made you uncomfortable? Nigel: No, I love that. I’m taking notes. I’m gonna put that on a post-it note, my bathroom mirror and be inspired by those words for years to come, Andrew. Andrew: See, there’s nothing you can say to Nigel, that knocks him off his game. This is why Nigel’s the best. Nigel, if we could, first, just remind us, tell us a bit about your company, where you’re located and what it is you do. Nigel: Will do, and Andrew, thank you very much for the affirmation and the very kind introduction. It’s a pleasure to be talking with you today. So we are in the Boston area specifically the town of Newton just outside of Boston famous for its Fig Newtons from many years ago. We are approximately 20 employees at the moment as we head through the winter, and we’ve been working in the Boston area since 1994, so coming up on 25 years. We have been blessed with an amazing marketplace as you know Boston is filled with hospitals and institutions of higher learning which means it’s a magnetic city, lots of very smart bright people move here to start careers and we have never really needed to market ourselves aggressively to stay busy. Work is typically found its way to our doors, so we’ve been very, very fortunate these last 25 years. Andrew: So what I hear, and again, for the people listening and this is why Nigel is on. Because he described his city with love and respect, he even described the citizens as … what did you say? Delightful and intelligent? Something to that effect. He’s a positive upbeat guy. Nigel, I tell you, you brighten people’s day. This is why you’re on the podcast. So why are you a painting contractor? Nigel: Well, allow me to put on my humility shirt. I finished a graduate degree in Political Science many, many, years ago having recognized after that degree completed that I was not a specialist in any way shape or form and painted my way through high school, and college, and graduate school. I had some debts I needed to pay off and started a painting business because it was something I knew fully anticipating that I’ll close that business within a year and get a real “job” and it turned into a real job. Let me be perfectly clear, I cannot imagine a harder path forward in life than to be an entrepreneur and to start a business. In retrospect, I wish I had been a simple corporate-grown with a predictable 9:00 to 5:00, with a 401(k), maybe a company car and a gold watch at the end of 40 years of service. I instead chose the complete opposite which is the rough and tumble of starting a business from scratch and making innumerable mistakes. Not just once, but multiple times before I learned how to run a successful business. Andrew: Nigel, I’m sorry. So are you saying now that you wish you were a corporate drone, or then you wish you were? Nigel: Many times I have looked back and I have thought to myself, “What am I doing in this particular role?” I think anyone listening to this podcast can identify with the challenge of starting a business from scratch. We don’t know what we don’t know. So we typically make mistake, after mistake, after mistake. Sometimes we learn from others, but most of the time we learn from mistakes. You have to go through the pain of learning what doesn’t work to appreciate the time it takes, the patience required to do something properly and that is certainly been the case for me. Andrew: So that’s why you got into the business, that’s the new school of hard knocks that you’ve lived. Now, as I’m asking you, what is it that you love most about being your own boss, about being a painting contractor? Nigel: Let me backpedal just a little bit and talk about Maslow’s hierarchy of needs, which is simply how basic needs as human beings to provide for ourselves food, shelter, clothing, really the minimum standards of safe and secure existence. That of course, is always the first well, primary goal of a business to provide that kind of security for me and for everyone who works here. Above and beyond that, when the basic needs are met, then we get into the more higher-level functioning of the business which is captured probably most effectively in our tagline which is beautiful lasting results. And I … something that we try to achieve with every project that we begin and finish is beautiful, lasting results. What can we do better than other companies? What can we deliver better than other companies? There are a lot of companies that can produce beautiful work. We desire to do the same, but we also wanna make sure that in 10 years we can look back and say, “That paint is still sticking.” Be it a kitchen cabinet, be it an exterior on 100-year-old home. So that is, I guess, the primary driver of this company. And if we end up hiring someone who does not quite live up to that standard, we discover that very quickly. Beauty can be described as a clean-cut line, as a blemish-free finish on a door or a window casing. And of course, lasting results comes down to doing things properly cleaning, sanding, proper preparation, proper finish work. We do occasionally find ourselves making mistakes and having to go back and correct those mistakes. The benefit of living here in the Northeast is one winter will typically reveal any kind of lack of proper preparation on an exterior, and we get a chance to go back understand what we did wrong or who did something wrong and then make the appropriate corrections and then if need be, terminate someone or basically retrain them to not repeat the same mistake. Andrew: So what I’m hearing I’m guessing that you’re somebody who really appreciates the aesthetic. Meaning, I’m guessing, I don’t know if you are a hiker or an outdoors person, but you’re talking about not just the aspect of making a customer happy, but actually the physical beauty of a job well done, with surface well-painted, of a film well-applied, that really moves you. And that’s a very practical, and again, a very aesthetic element of painting. Nigel: It’s true, and I think that’s true for most painting contractors. But therein lies a tension. Running a profitable enterprise means learning how to stop paying attention to the details. I think a lot of people who end up in painting are in some way obsessive and compulsive, and those of us in the trades know that it’s possible to double, triple, quintuple the hours you spend on preparation, especially if you have an older surface to bring it up to snuff. But typically, a budget does not allow that kind of indulgence. So the expression “perfect is the enemy of the good” is applicable here. At some point, you have to say this is good enough. Question is, can we deliver a description to a client prior to the job starting saying, “this is what we will deliver,” and have that client agree when the job is complete, that we delivered what we promised. We have occasionally run into clients who can nitpick and find fault in any work that we produce, and that’s always a very painful meeting. So the first challenge we have, of course, is to marry the pragmatic with the aesthetic and make sure those things are compatible. Andrew: Would you say that your focus on the aesthetic on a perfect cut line, has that evolved and changed over the two decades in painting, or has it accentuated? How would you say that has changed over the years? Nigel: We’ve chosen to try and move our business upmarket every year that we are in business. So I would say our standard, our aesthetic increases or heightens with every passing year. Andrew: Interesting. So final question, because again, this is not a lengthy podcast. We dive in, we get pretty deep pretty quick, and then we bail out before it becomes too awkward, Nigel, and we start talking about things that you never meant to relay to the public. Because I can sense that you’re probably … I could ask anything you would answer. I’m just getting that from you right now, Nigel and I appreciate that. But I will limit it to something you’re comfortable with. And that is what is something that you’ve learned from a fellow contractor or what is advice that you give to contractors. And let me preface that by saying I think many of us are hesitant to give advice to others because it seems forward, it seems pompous, you know, who am I to tell you what to do? But the way I see advice is not one person telling someone else what to do. Rather this is something I’ve learned, I care about you, you might find this of interest. An example I can use my own life is we’ve got sons in college and certainly the process of finding a college is very difficult, to say the least. And a friend with older children once told us, “Don’t assume that you have to go to a State College, don’t assume State colleges are cheaper. Check out private universities, some of them have enormous endowments. There’s more money there than you might think.” And that bit of advice actually had an enormous impact on our lives and it really fundamentally changed how we sought colleges for our kids. So that’s just an example. So I don’t want you to be as modest as you are, I don’t want you to shy away from the question as to what advice you give to contractors. But there you go, what advice do you give to a fellow contractor, and/or what’s the piece of advice you received from a contractor that really had an impact on you? Nigel: Can I make that a two-part answer please, Andrew? Andrew: Absolutely not. Yes, of course. Go right ahead. Nigel: So a mentor once described the challenge a lot of contractors have, especially when business begins to slow and for us, that is always the case heading into the winter, which is the temptation to discount pricing before we’ve even delivered the price or the proposal to the client. So he refers to that as head trash. So for example, we’ll price a project, the numbers say this is going to be $85,000 project and the old me would say, “Holy cow, that’s way too much. No one’s ever gonna pay that much for each project.” And then I’ll simply randomly spontaneously deduct 10% for no reason whatsoever except to manage my own need to have a number feel more reasonable, and then of course, just lose it completely on the project when we win it because we went 10% low and we can’t make that back through efficiency, or expediency, or economy. It’s just lost, it’s given away. So the mentor had suggested using a lockable cell formula in our Excel spreadsheet that simply required the password “screwing my wife and kids.” So simply, don’t give away the shop before you have an opportunity to present the price as it legitimately is calculated, and then if need be negotiate down with a client who wants to hire you so that both sides win. But don’t start with your proposal discounted unnecessarily. So that has been a great takeaway. I must confess, it is still a temptation to find a way to reduce pricing when I feel the pinch of a slow season, but it’s something I work hard against. The other lesson shared is an adage homily aphorism that was presented by a speaker at a conference I attended. And he said, very simply, “Your business and your life are running exactly as they are designed to run. If we do not like the results change the design.” For me, that resonated on a number of levels. But the most resonant aspect of that message was stop blaming myself and stop blaming people for mistakes. Instead, try to uncover how a system has allowed a mistake to take place and then take that system and improve it. Andrew: So we’re not … I’m sorry, so we’re not victims of circumstance, right? We are at the helm, we’re driving the ship, it goes where we want it to. Nigel: Right. And it also takes a lot of emotion out of business. And I pride myself I’m not raising my voice regardless of how stressed I am about anything. Someone who raises their voice has already lost the argument because they’ve allowed their emotion, their passion to get in front of any sort of rational argument or thought. So to assist that is to remove emotion and people from an equation and simply look at business as aseries of systems. And to uncover how a system is broken such that a mistake is allowed to happen. Something doesn’t get built, something doesn’t get painted, a customer’s forgotten, whatever the mistake is, refine the system, improve the system to make the business run more effectively. Andrew: Well, that sounds like a form of mindfulness to me. Would you agree? Nigel: Absolutely. You started with the concept of mindfulness we might as well end there because it is also a passion of mine. And I’m gonna get really hired by one you, Andrew. You ready? Nigel: Plato said, “A life unexamined is not worth living.” And I think it’s imperative that we constantly been looking back at our behaviors, motivations, and to uncover what it is we’re trying to address. So you’ve heard the expression behind anger is fear, that’s true of a dog. It raises its hackles and starts to grow. It’s not angry, it’s actually afraid. And that’s how it presents its fear to try and push away whatever is the threat. And the business, there always multiple occasions in any given day to be afraid or for that fear to shop. First is anger. Someone screws up, someone spills a five-gallon bucket of paint, someone crashes a van into a school bus, right? It’s just so many opportunities to practice patience, and mindfulness, and relaxation. And I think it’s imperative for us as business owners to make that part and parcel of daily practice, because we are leaders in our companies as well as in our communities and we can only lead well when we know ourselves equally well. Andrew: I love it. Nigel, this is why we had you on. I had you on because like I said, you said the life on exam. The role of this podcast is to examine why we are painting contractors and how we can enjoy it as much as possible, and how it can fulfill us the way we would like it to. And so I really am glad that I offered you the invitation and I’m even happier that you accepted. So really, thank you for your examination. That was a lot of fun. And we need to find other topics to examine in the future because now at APC, “Paint Radio,” certainly in the New Year 2019. We are revving it up. The goal is to drop a new podcast every week. So we have lots of opportunities to examine additional topics, Nigel, and I hope this has been a semi-pleasant experience in that you will come back and examine things with us in the future. How’s that sound? Nigel: I’d be honored, Andrew. Always a pleasure to talk with you. Andrew: That’s Nigel Costolloe of “Catchlight Painting” in Newton, Massachusetts. I’m Andrew Dwyer, of APC, publisher of APC for more podcasts, go to paintmag.com/paintradio, and you’ll find interesting examinations. Thank you for listening. 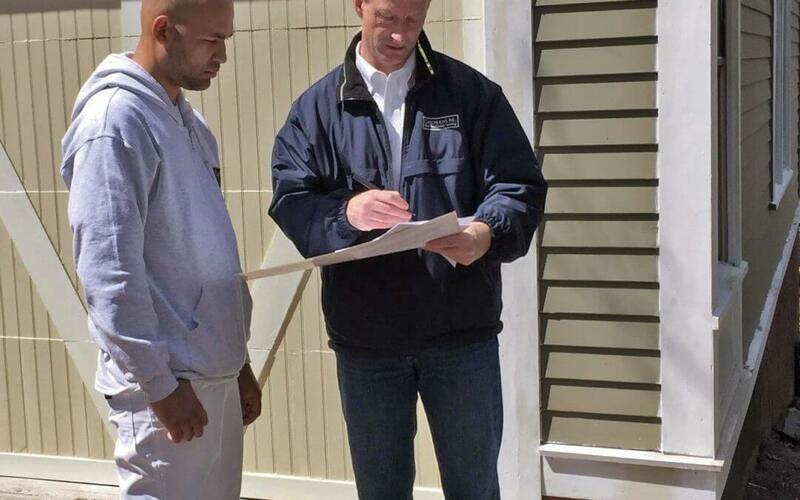 Why Is One Painting Contractor More Expensive than the Other in Greater Boston? What Is the Best Paint for Interior Walls in Greater Boston?